The sliders really help the students understand the effect of changing the co-efficients. And watch their faces when a=0. 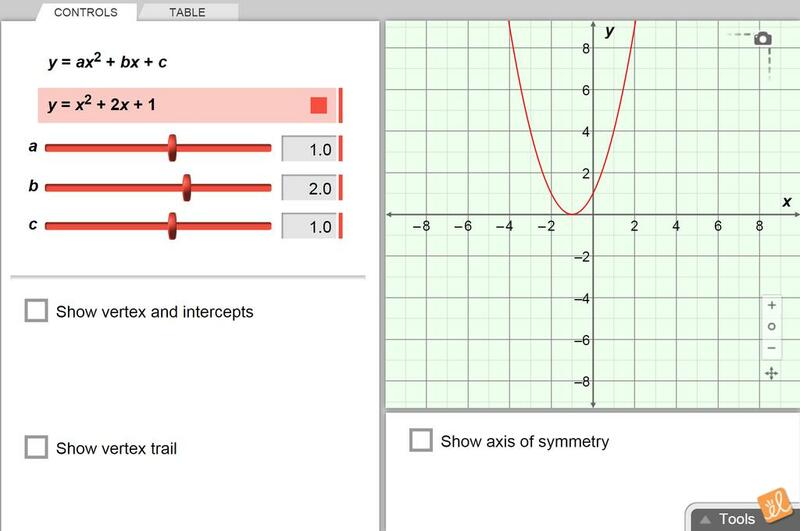 Check this out for quadratics! They have more for inequalities too. We need to go to the lab one or two days. You know what a does to the graph... you know what c does... but do you know what b does? Try it out and see! It's pretty surprising.